While non-compete disputes are inherently case-specific, the reasonableness of a particular covenant is a question of law for the court to decide. In a recent North Carolina appellate ruling, an employer had a $1,000,000 damages judgment overturned because its non-compete agreement was overbroad as a matter of law without consideration of any facts and circumstances regarding the employee's competitive conduct. Medical Staffing Network v. Ridgway arose out of a dispute between two entities in the market for healthcare staffing. Defendant Ridgway was a highly productive branch manager for MSN in its Raleigh office when he was recruited away by Trinity Healthcare Staffing (through another ex-MSN employee). The evidence showed Ridgway accessed confidential documents on MSN's computer just before a lunch meeting with Trinity, something he had only occasionally done in the past. Shortly after the meeting, Ridgway quit and joined Trinity in a directly competitive position. Ten nurses resigned from MSN and began working for Trinity. Still, it appeared as if MSN lost just one client (its largest) to Trinity. At the trial court level, MSN obtained a judgment of $1,104,495 against Trinity and Ridgway under several theories - breach of the non-compete agreement, Trinity's interference with the same, trade secrets misappropriation, and deceptive trade practices. The appellate court reversed the judgment on breach of contract and interference with contract due to an invalid and overbroad non-compete agreement between MSN and Ridgway. 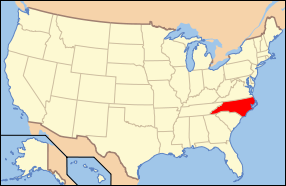 North Carolina is a relatively difficult state in which to enforce non-compete agreements. Because it adheres to a strict blue-pencil rule, any agreements that are overbroad run a serious risk of being thrown out altogether. That eventually doomed MSN. The court noted that MSN was defined in the contract to include any of its affiliates and other divisions - even though Ridgway had not responsibility for those other divisions. Accordingly, because it would prohibit Ridgway from working in a business that had nothing to do with his MSN employment duties, the non-compete clause was held overbroad and unenforceable as a matter of law. Also, the client non-solicitation clause - prohibiting Ridgway from soliciting the business of any MSN client - was unenforceable. It went beyond those clients with whom Ridgway had developed a business relationship at MSN, and again, included clients of MSN in other non-competitive divisions or affiliates. For the court, this was far too extensive of a restriction. Attorneys drafting non-compete contracts governed by North Carolina must proceed with caution. While reasonable contracts will be upheld, this State takes a very careful look at the breadth of covenants and won't hesitate to grant an employee a loophole through which he or she can crawl. Simply taking a standard form contract won't work. The more narrow, specifically tailored agreement has a far better chance of being upheld than one which seems to be one-size-fits-all.